Went out this morning and it seems to be working ok. Picked up the bottom structure and a few fish although I didn't manage to catch any!!! The only issue I seem to have is depth in shallow water. It doesn't seem to be very acurrate in under a metre of water. I wonder if this is the hull or is common to all fish finders?! Reports a reading of 0.2m when in approx one metre of water. I guess the only real way to check it is to run alongside someone else with a fish finder and see what they get! out of intrest what unit do you have? Got a Humminbird 363 combo. 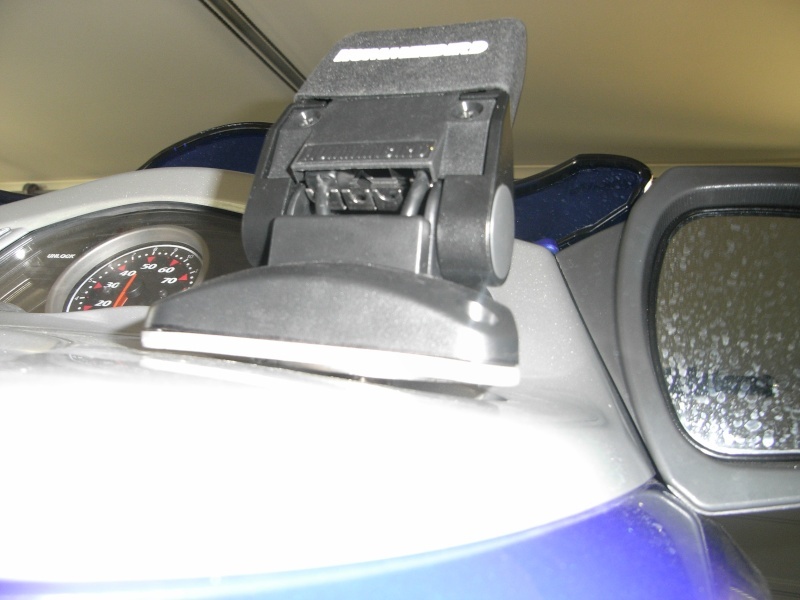 I decided to go for that unit as it clips on and off easily (see photo's above) It's got GPS and maps but is still relatively small which makes it ideal for the jetski. Happy with my choice so far and I'll have a play with the depth settings as you suggest. 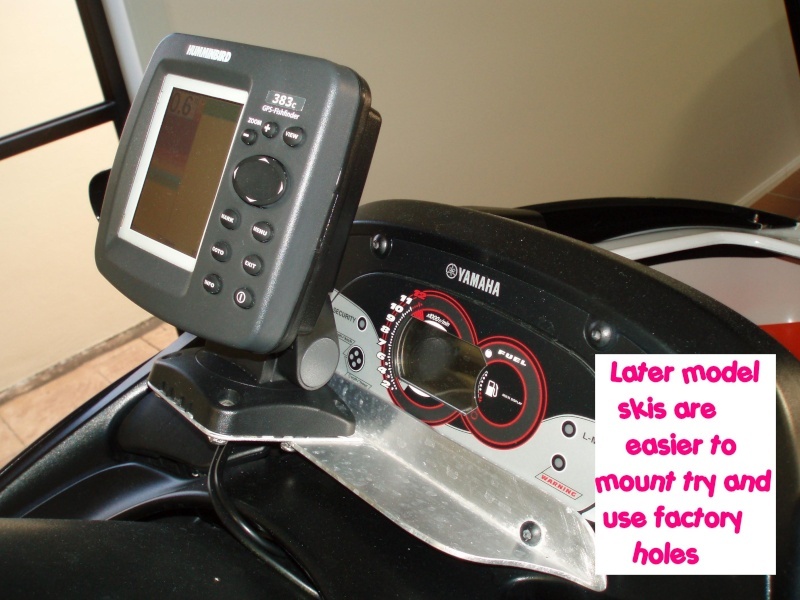 Just to report the fishfinder is working well with the transducer placed inside the hull (Yamaha FX160). My earlier problems were down to set up. Sorry, was going to post pictures of the bracket but, had to dash off to work and then completely forgot. GDay AKAHOOTER, Thanks for the bounce backs on some of the other forums. 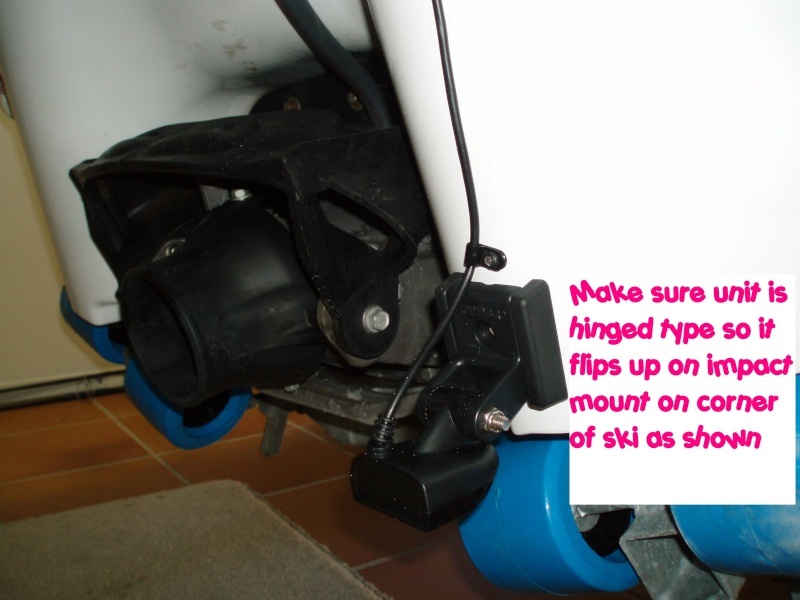 I have been weighing the pros and cons of where and what to do for my sounder set up, keeping in mind my ski was originally bought to use for surfing. And then I see the exact same ski as mine with a quality and simple setup! Its yours i beleive! Pictures should be below. I was going to start a new thread but I reckon more people will get the benefits if this one lives on! 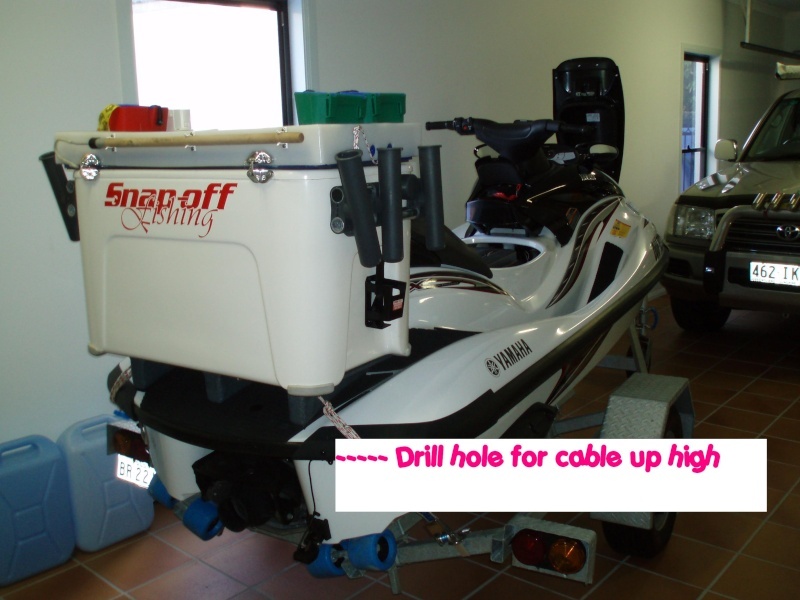 *where the transducer is attached to the bottom corner of the ski ... is it drilled all the way through and bolted, or is it tech screwed, have you used a sealant, could it come off? might it leak into the composite material an etc for all paranoid queries? yeah sorry long big question. *would you do it differently if you were to do it again? *Do you find the reading is getting any distortion from turbulence? im guessing no. *Does the bracket mounting the screeen stand up to the punishment youve given it sofar? * does the tansducer survive multiple bashings up the beach? Oh there is more than one page! It seems i have only just learned that the thread pages may have more than one page!!! My quote above is from the start of the thread so i hope no one minds. Sweet set up julian, I have heard of very limited success in the yamaha hulls and im stoked you have a winner. Hi Wotzy. Yes they are the photos of my sounder and mounting ,I only used self tapping s/s screws on my transducer bracket and I used some 5 minute araldite epoxy on them . I have had no issues with mine but because its is a hinged bracket any solid contact with the bottom or a stick in the water will kick it up out of harms way. As far as reading goes its all sweet and I have mo prob;ems getting good depth reading in depths up to 200 feet and at speed of up to 50 mph. Andrew's bracket bolts in the same holes as the boarding ladder. So effectively like a small spacer, but this allows full use of boarding ladder and no fresh holes. 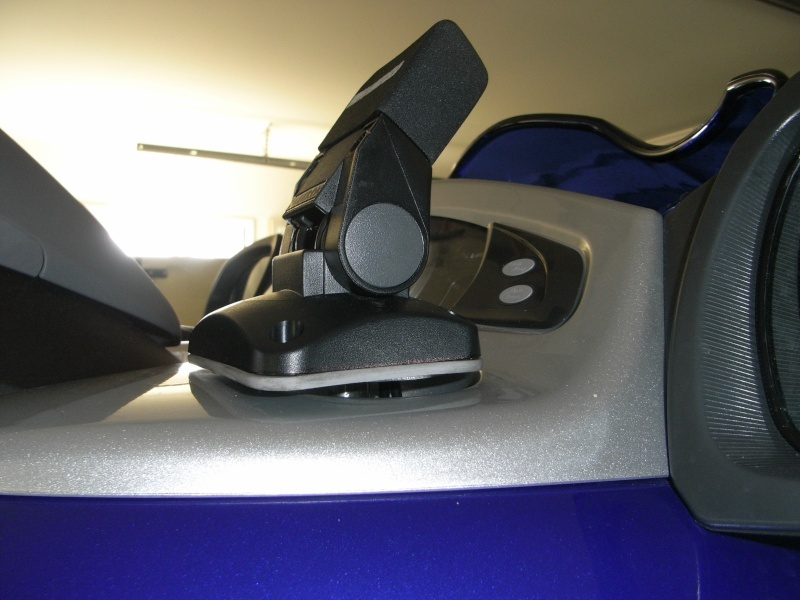 Unfortunately the 2004 FX doesn't have a boarding step to mount handy andy's bracket...........bugger. Ive heard of them being mounted to ride plates but this means it will get in the way on hard surfaces. How deep can a self tapping screw go into the hull hooter? Have you got a preferred screw size that you would use? Andy if you spot this thread have you got any more inventions up your sleeve? Before i go through with it I will give you a message if your not watching this thread. Ski is still in hospital so havnt bought sounder yet. cant wait to post my setup, not lavish but hopefully will get the job done. Hi Wotzy as long as you use a transducer bracket that allows the unit to hinge up on impact there really isn't a lot of load on the mounting even at 60 mph. I just used the stainless steel self tapping screws that came with the unit I think they are about 3/8ths of an inch long 10 gauge. Make sure you epoxy them in place. What do you guys do with the plotter cables? Specifically the plotter mounted inside the cub holder?